Nestled in a forested resort area only minutes from the Great Smoky Mountains National Park, you'll find Cobbly Nob Village! 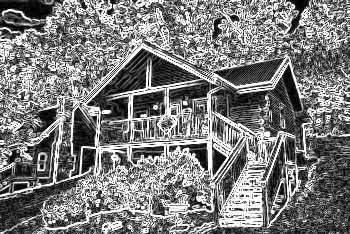 This peaceful cabin community offers vacationers a truly beautiful place to unwind with friends and family while they enjoy a truly memorable vacation. With great nearby attractions like Bent Creek Golf Course, the Arts & Crafts Community at the Glades, and Gatlinburg, vacationers in the cabin resort are bound to have an action-packed stay! For visitors who plan to explore the Great Smoky Mountains National Park, Gatlinburg features many nearby highlights. On the other hand, Cobbly Nob places guests near some of the Smokies' hidden gems: Greenbrier and Cosby. These regions of the national park are less crowded than other areas of the Smoky Mountains, so you can easily find quiet and solitude on your vacation. Top-rated attractions in Pigeon Forge like Dollywood Theme Park are also within easy reach of these rentals by way of scenic country roads. Guests at our cabins in Cobbly Nob will also have access to 3 resort swimming pool areas! When you aren't busy working on your tan, you'll enjoy relaxing at our rentals with comfortable amenities like hot tubs, cabin decks with views, and more! With a cabin surrounded by the sights and sounds of nature, you can enjoy a cabin vacation that allows you to experience the natural beauty of the Smoky Mountains to the fullest. Book your Cobbly Nob cabin online with Cabins USA to earn a special 15% discount on your stay! With great cabin savings, you can keep your vacation on budget and see even more excellent attractions in the Great Smoky Mountains of Tennessee!